Great typography says a lot about the professionalism of your brand. With GivingPress, the typography can be changed globally across all content on your website with ease. As with other changes to the website appearance, we’re going to use the Customizer by navigating to Appearance → Customizer within the GivingPress admin. 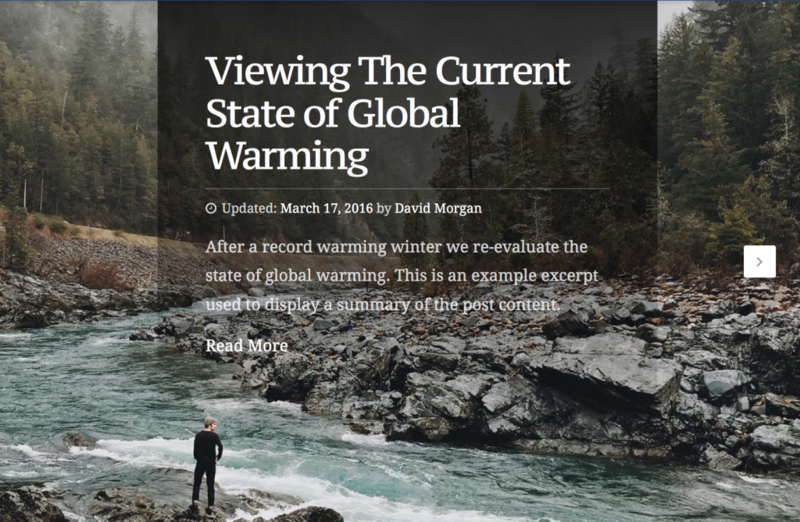 An example of the featured content slideshow with serif font choices. Within the Customizer, select the Typography → Default Typography panel to view the font options for your site. 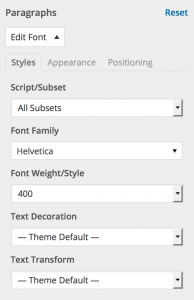 You will see a list of options to customize the fonts and styles for paragraphs and headings throughout your site. Change the font families, sizes, styles, line height, colors and more. Watch your fonts change in real-time within the Customizer as you select options. 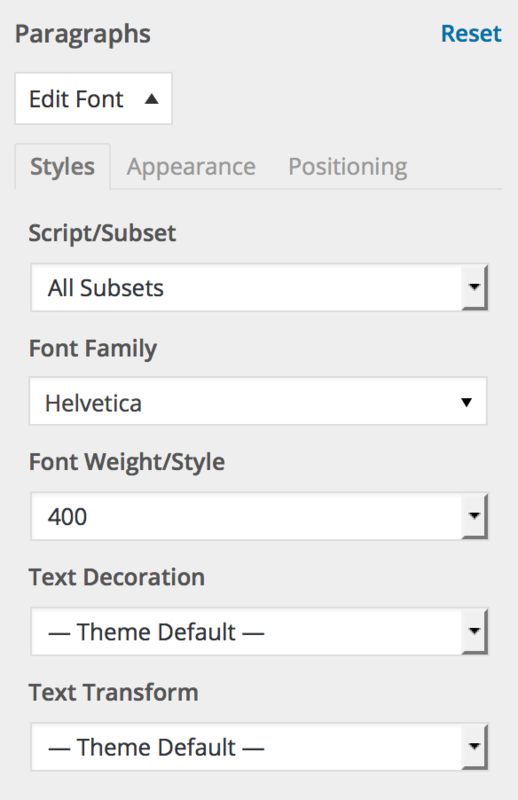 Upon choosing your desired fonts and styles, click the blue Save & Publish button at the top of the Customizer. Choose from hundreds of fonts available from the Google Fonts directory and more. The typography options are endless with GivingPress.